A non-ham asked me how I get my antennas up into the trees when I'm out on a SOTA activation. 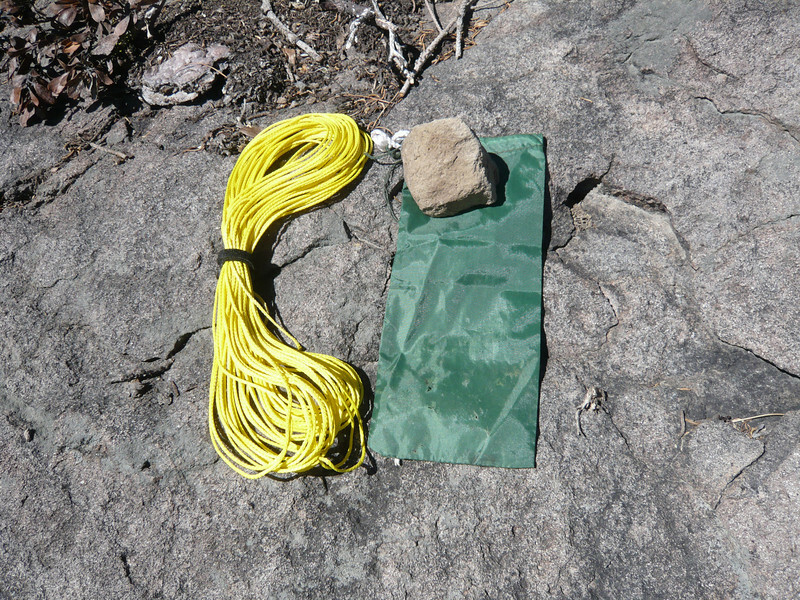 I explained how, I use this part of my kit: A 100-ish foot length of Zing-It throw line and a small ditty bag. One more key component is required but I don't bring it with me (the rock). Back in my backpacking days, instead of throw line I would use kite string, fishing line, mason line, clothesline rope, paracord, or whatever I could scrounge and toss into my pack on the way out the door. The problem was that they would either snag on the rough surface of the branch, break, or have too much friction to allow my throw weight (back then it was rock-in-my-sock) to fall to the ground on the other side. I used to do a lot of hiking with only one sock because the other was stuck up in a tree. This Zing-It line is SO much superior to those old-school lines that it's almost unbelievable. It has a special slick coating that flat-out will not catch on anything. It's so slick that the entire line will happily glide across the limb to the other side (if you don't tie off your end) and it has a breaking strength of 400 lbs. I guess there is a reason why professional arborists use it and leave their kite string, fishing line, etc. back at home.